Managing GHNP, or for that matter any other Protected Area (PA) in India, is like a juggling act. It is very difficult to manage habitat for the wild animals and plants if the local people continuously keep on using it. Excluding people living in poverty from needed resources has inherent issues and conflicts. Park administrators have worked with the local people and key stakeholders so that the protected animals and plants could remain safe from human interference. 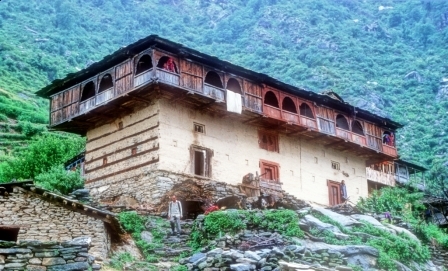 GHNP is quite remote, and without roads. 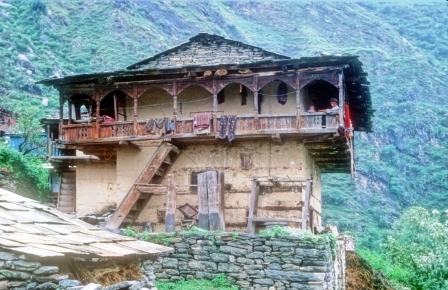 The villagers in its neighbourhood are poor, and reach of the govt., as well as NGOs, to these villages is extremely limited. For biodiversity conservation at GHNP, it is very important to connect the livelihoods of the community members with the conservation programmes of the Park. LET CONSERVATION PAY. Land holdings oer household in GHNP ecozone are small, hence people need to seek alternate means of livelihoods. 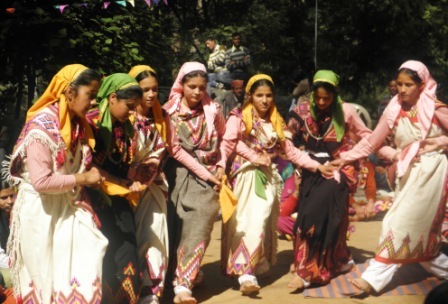 The Park management realized that the village poor women (who are 50% of the local population), also work with the natural resources that it tries to conserve (i.e. 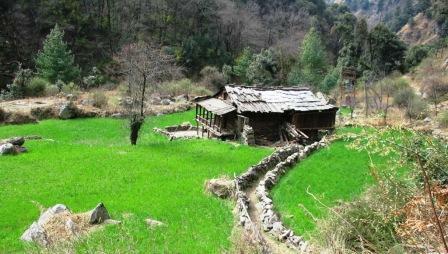 water, fodder, fuelwood), but they remain alienated from the process of the nature conservation. At the same time the men have become used to the subsidy culture (an offshoot of the “lop-sided development”). So, Park management started working in the GHNP Ecozone by organizing the women of the poor households or (HHs) who depended upon the Park resources. 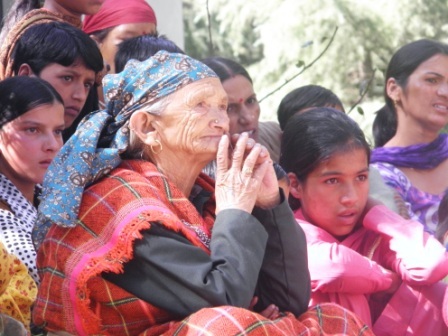 The traditional rights of the local people in the GHNP were settled in May 1999 through an elaborate procedure, as prescribed in the Indian Wildlife Protection Act 1972. 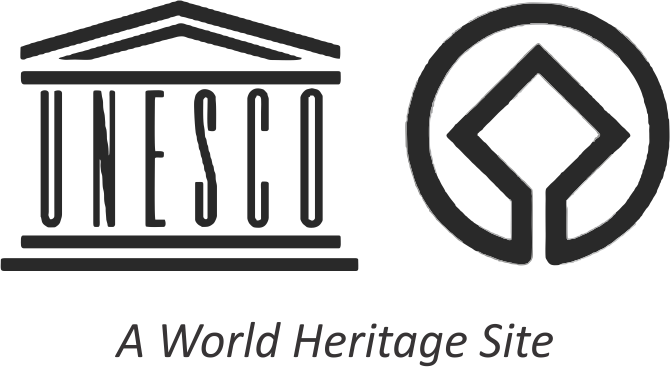 The strategic approach aims at bringing about a change in the relationship between the natural resource base including the park and the immediate and long term livelihood needs of the local communities from the open access arrangement to an increasingly participatory mode of joint management involving all stakeholders. The livelihood approach is a way of thinking about objectives, scope and priorities for development, to enhance progress in poverty elimination. It tries to integrate and update recent thinking and best practices. The Ecozone of GHNP typically shows that the local villagers are mostly natural resource dependent. 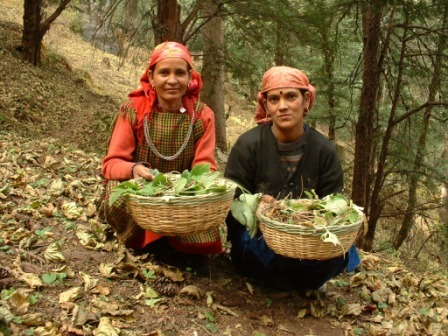 Their livelihoods comprise capabilities, assets and activities required for a means of living. The assets may be Human (knowledge, skills, technology, ability to labour), Physical (shelter, transport, infrastructure, tools), Social (community, membership of groups, bonds of trust), Natural (access to biomass, rivers), and Financial (access to credit, savings, income, remittances). 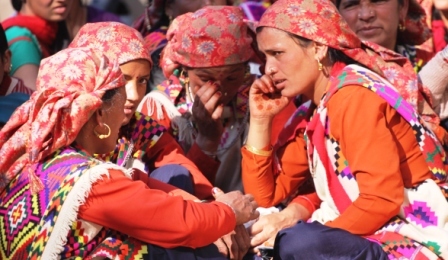 Better integration of women in conservation project at GHNP could enhance benefits from the biodiversity conservation. 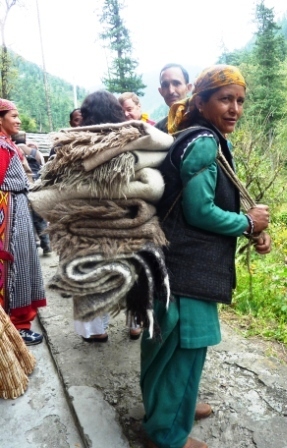 Traditionally, the women are more inclined towards participatory way of doing things for their livelihoods. A Women Saving and Credit Group (WSCG) provides an opportunity for members to engage with each other, provide mentorship, share opportunities and advice. As issues connected to sustainable rural livelihoods come more into focus, there is simultaneously a growing need for better co-ordination between various government departments and their capacity to institutionally engage with civil society groups. Many such issues need inter-disciplinary approaches. An essential approach to biological diversity conservation, is to resolve the socio-economic issues of the local people. 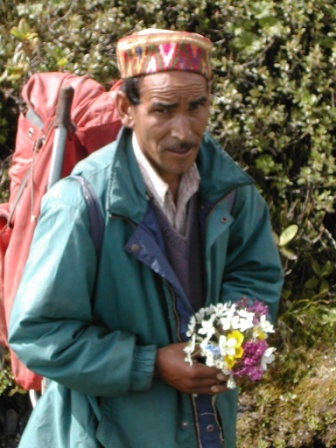 The habitat of wild animals and plants will be better protected if the local villagers stand by the forest guard and assist him/her in protection of natural resources. The GHNP model of addressing the local community concerns and conservation through livelihoods approach is primarily focused through women’s saving and credit groups (WSCGs). 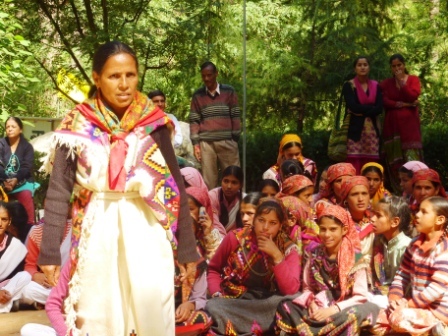 The Park management facilitated organizing WSCGs through training workshops and practical livelihood opportunities. Members of a Women Saving and Credit Group at GHNP could provide an inspiring and empowering forum for themselves as well as their families. 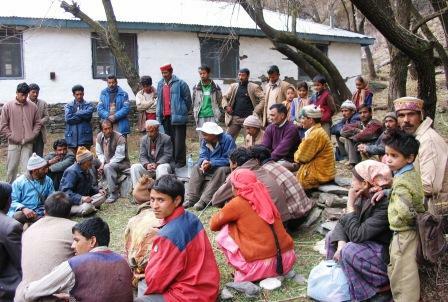 Members of a WSCG in a field meeting in a medicinal plants nursery in Sainj Valley of GHNP. 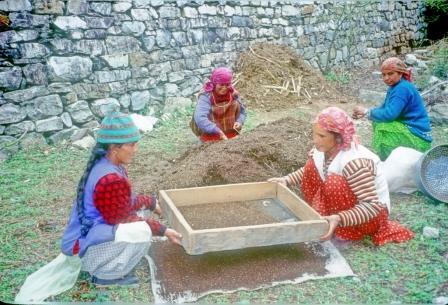 Vermicomposting is one alternative source of livelihood by the members of WSCGs in GHNP ecozone. Vermicomposting as an alternative livelihood works better when the Park nurseries directly buy from the members of WSCGs. Members of WSCGs with their collection of medicinal plants from GHNP ecozone. 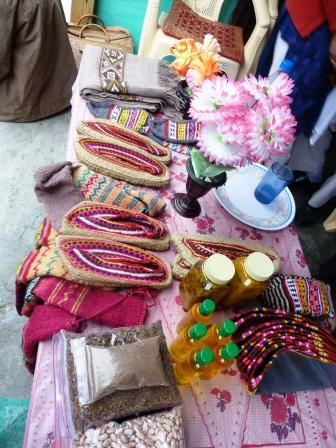 Timely marketing of produce by the WSCGs members facilitate good price of their handicraft, apricot oil and rugs. 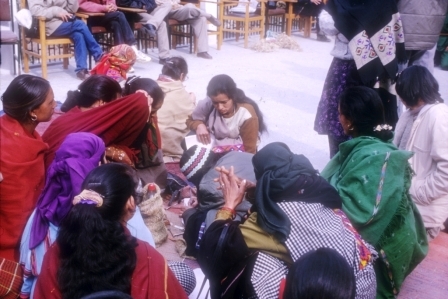 Weaving is a very popular household engagement with the women in the GHNP ecozone. Community Based Ecotourism (CBET) is part of livelihoods for the male members of the WSCGs in GHNP ecozone. CBET has potential for add-on incomes for such WSCGs whose male members are involved in it in GHNP. 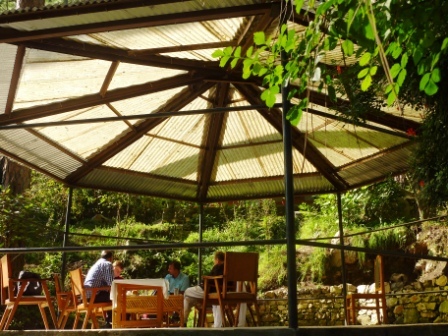 Catering to the guests is an integral part of Community Based Ecotourism at GHNP. The local cuisine served in traditional style is very popular part of CBET. Kala Jattha (Street Theater) is a very effective group of local girls and boys to spread conservation awareness among the villagers in GHNP ecozone. 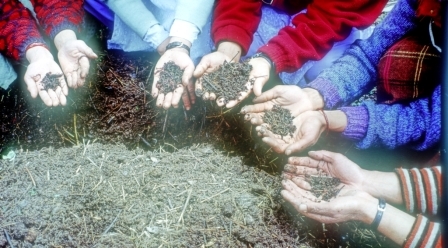 Except for Vermicomposting/ (for which the Park nurseries are ready buyers), all other activities such as apricot oil extraction, handloom weaving, hemp based handicrafts, organic farming, medicinal plants cultivation, etc., have been decided by the WSCGs with a little facilitation from the Park management. 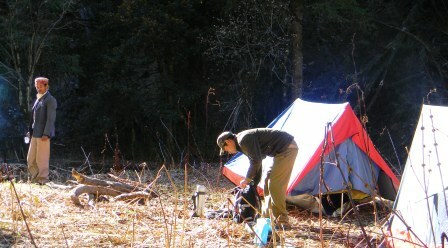 Ecotourism activity is an introduction primarily for the male members of the WSCGs. 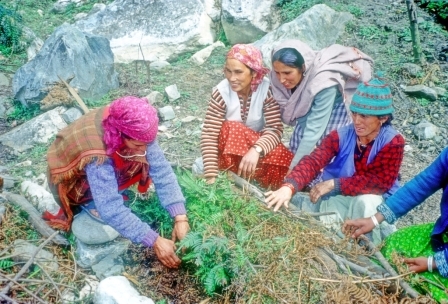 Women in a household work with water, fodder, and fuelwood which are central to biodiversity conservation. 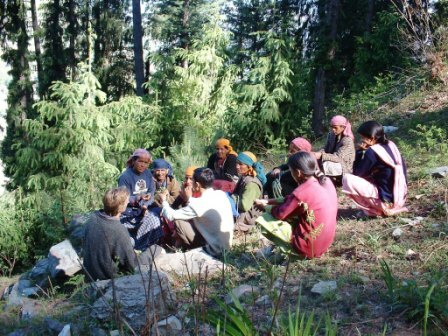 The collective impact of hundreds of women engaged in firewood collection on the forest/vegetation is severe and often leads to degradation of the resource thus making firewood availability even more difficult. 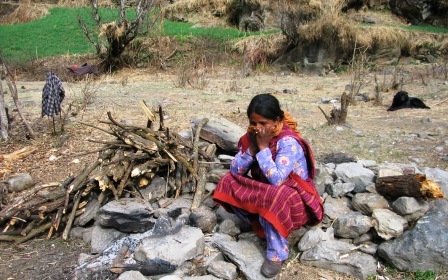 In order to mitigate the adverse effects of this downward spiral both on the lives of rural women and the forest, LPG (Liquid Propane Gas) Gas Connections have been offered in the Ecozone of the Sainj and Tirthan Wildlife sanctuaries at minimal cost. Being residents of the remote villages in GHNP ecozone, health and education programmes need alternative arrangements. Most of the WSCGs have very low rates of literacy and a perpetual lack of medical facilities. There is also a lack of veterinary care for the cattle in these groups as well as the villages where they live. Hence, it is important the WSCGs become active centers for propagation of programmes to enhance these needs. The WSCGs have thrown up local leadership to have a better understanding of local social and economic issues which ultimately helps in GHNP’s biodiversity conservation. 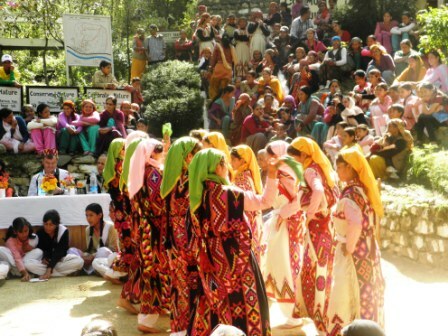 Members of Women Saving and Credit Groups help each other in organising events to celebrate their achievements which in turn result in the Park’s biodiversity conservation. 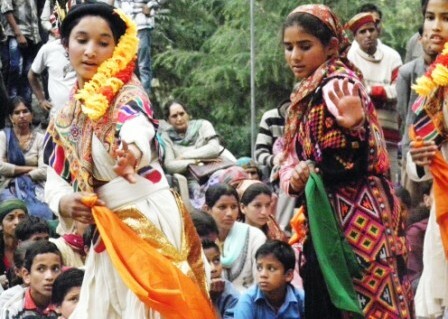 Nati (local dances) are mostly based on the natural aspects of the region. 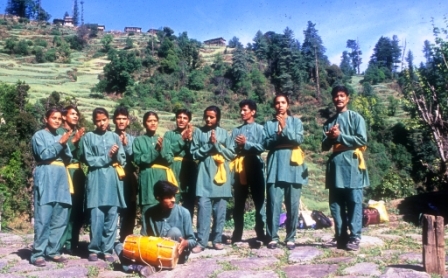 The uniqueness of local music and dance is that it celebrates the strong relationship between humans and nature. The audience constitutes all ages and loves it so much. Through income generation activities, the WSCGs are making or decisions that enable financial stability and meet the fundamental needs of their children and animals. This helps bring changes in the social status of the poor women and in turn is expected to make the poor women’s “voice” heard at the village political forum such as Panchayats/Mahila Mandals, etc.